Style: Trying out Trends with Pink Clove. You know what? 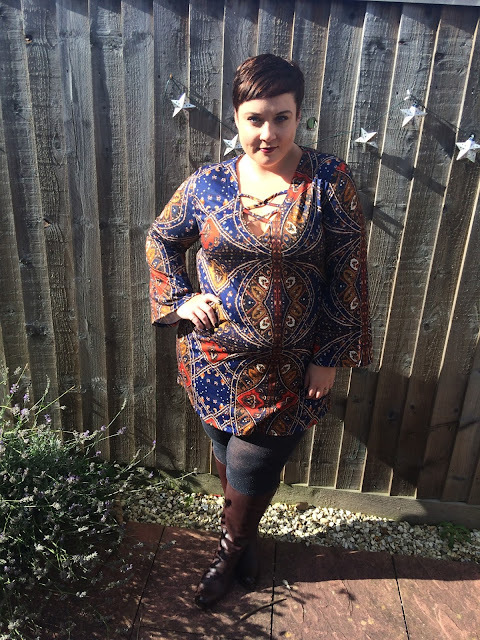 The beauty of having a plus size fashion blog (along with all the wonderful opportunities) is having the chance to try out items I wouldn't necessarily invest in myself. I get to play dress up and decide what looks are for me and which are not. 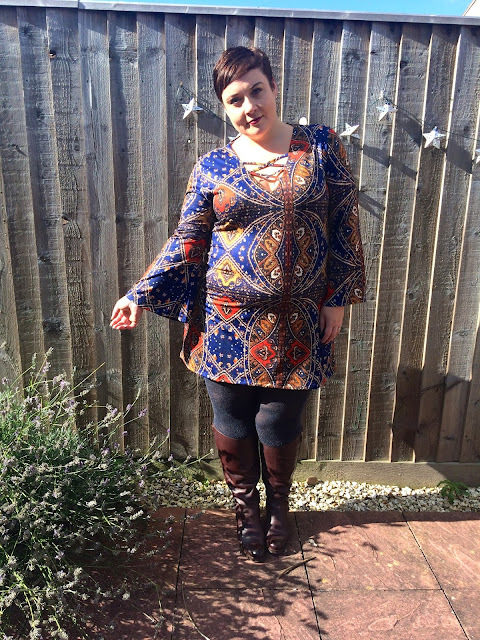 Today I've got another 70s inspired piece from Pink Clove. I really struggled when I was choosing this scarf print dress. I loved the colours and pattern and really wanted to try the flared sleeve look, but I wasn't keen on the criss cross neck, but I decided to give it a go anyway. I'm really glad I did, it's a great dress. Do I love it? No. But I'm so glad I tried it out. It's a really fun look and I even put some lipstick on (!) but sadly I just don't think it's for me. If it is ticking all your boxes though, I can highly recommend it, the fabric is a lovely thick jersey and the print is to die for. I would personally size up; I'm wearing the 22 and I think it needs to be a bit looser. 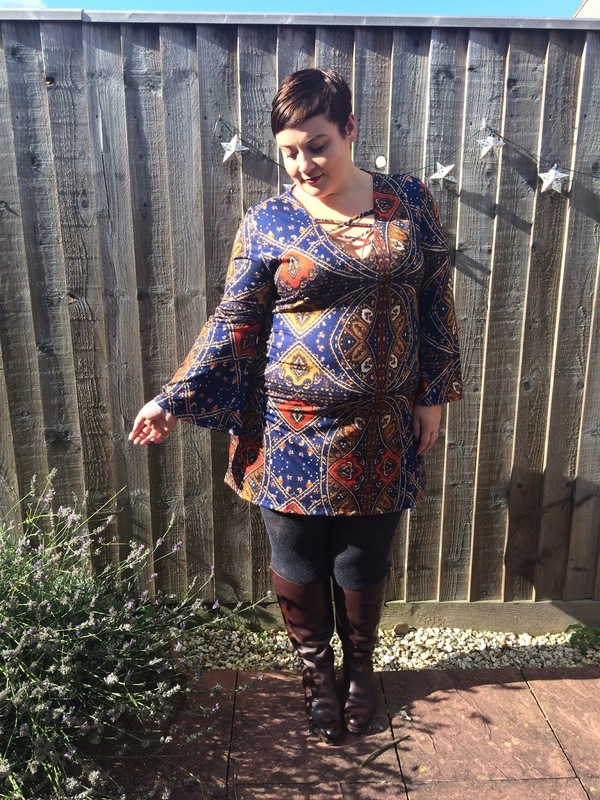 The sleeves are just lovely, and although it's a little short for my personal preference, I think this would look great with leggings too, so you can get away with it. What I have come to realise over the last 4 years (yes I've been doing this that long now!) is that every day I learn a little more about my personal style and what I love, what makes me feel comfortable and confident. That doesn't mean I won't stop experimenting but I think I have a clearer idea of where I am style-wise and how I'm going to take that forward. How very mature of me (HAHAHA). I love the colours but I agree the neck is overkill ... can you cut that bit off?